Inevitably someone in my family is early getting to my parent's house for Thanksgiving dinner, and of course we all come hungry. To help keep us "heathens" at bay my mom always has a few things for us to munch on while we wait for them to finish up. 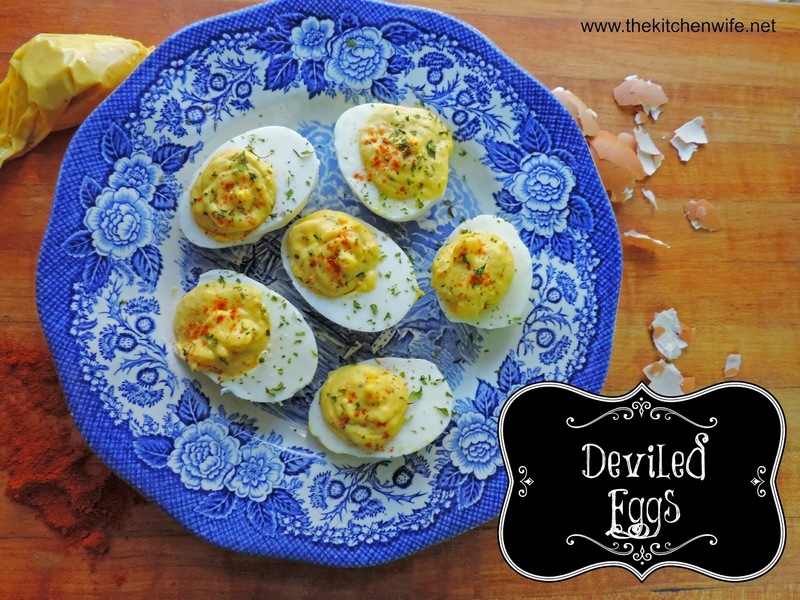 There are the usual meats and cheeses, veggies and dips, but everyone's favorite appetizer are the Deviled Eggs. My mom can hardly make enough They are so yummy and very simple to make! I know you are going to love them. To begin, place your eggs into a large pot. Fill the pot of water until there is about an inch of water over the eggs. Place them over a medium/high heat. Cover with a lid and turn off the heat. Rise with cold water and let cool for 20 minutes. Peel the eggs and cut in half. Be sure to wipe your knife with a damp towel between eggs. This will help the eggs nice and clean. 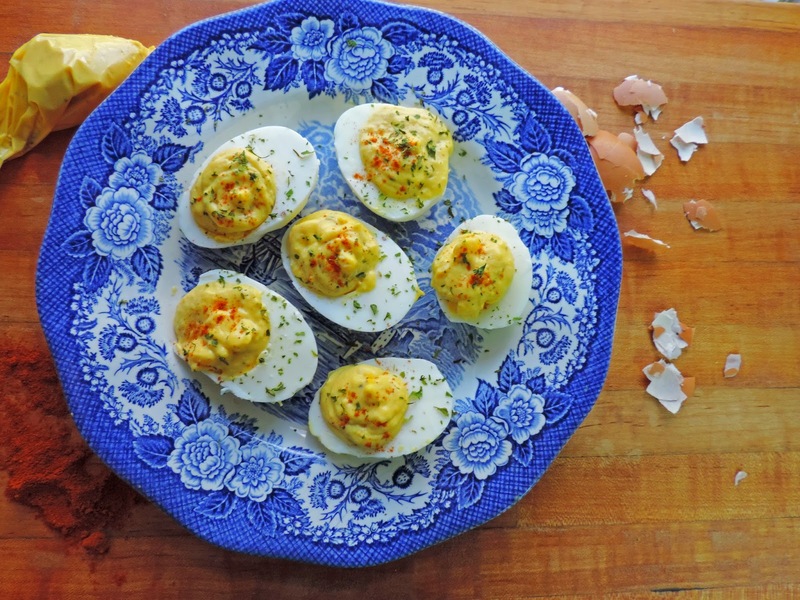 Place the yolks, mayo, relish, mustard, salt, and pepper into a bowl and gently mix with a fork. Place the egg mixture into a resealable bag and snip the corner off. Carefully pipe the egg filling back into the eggs. Place your eggs into a large pot. Place them over a medium/high heat & bring to a boil. Cover with a lid and turn off the heat and let set for 20 minutes. Pour off the water & rise with cold water and let cool for 20 minutes. Peel the eggs and cut in half. Be sure to wife your knife with a damp towel between eggs. This will help the eggs nice and clean. Awesome!! Thanks for the detailed explanation with step by step pics. You are so welcome! :) Thanks for stopping by!